The living room is where most of us relax, visit with friends and welcome guest. It is also one of the easiest room to upgrade. New pillows, a new rug, a new chair and it looks fabulous! 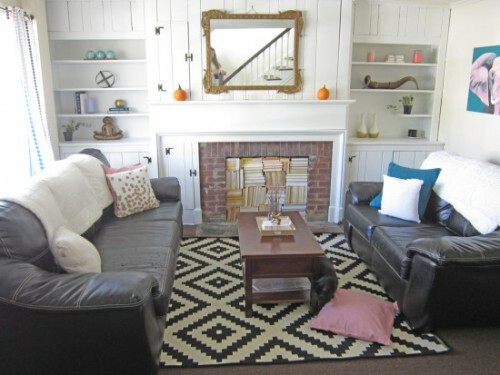 Check out these living room makeovers! I love this coffee table. It is my favorite thing in this room next to that gorgeous kitchen nook turned into a storage area. 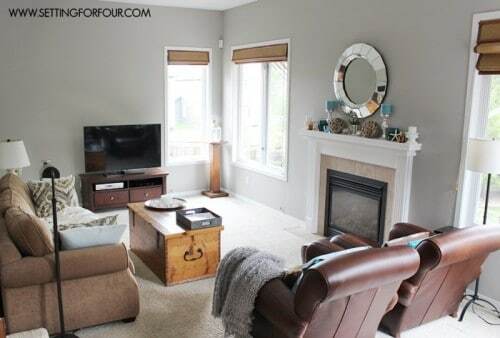 Living room makeovers look best when you limit the room to 3 main colors, that vary in tone. Here we have light gray, black and dark olive green. Of course there is white, every room needs white in my option. 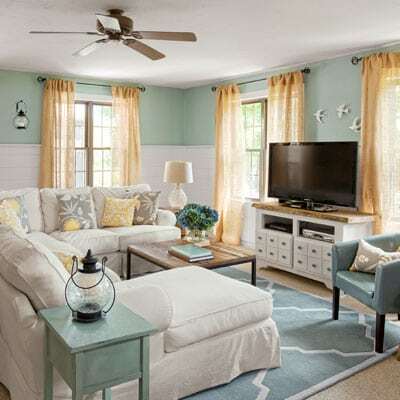 This room used brown, blue and a hint of yellow to pull off this beautiful look. 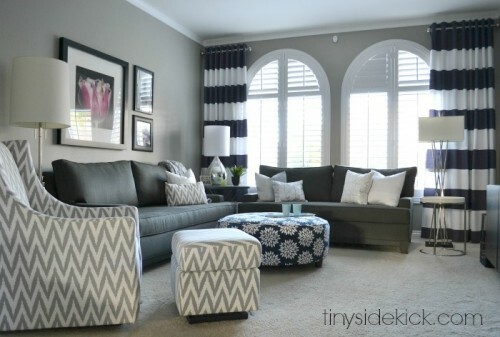 A fabric coffee table is a must when for little kids who tumble often. It also creates a soft texture to the room. My favorite part of this room are the walls. This is a great example of two tone walls. The walls bring just the right about of color in without over powering the room. 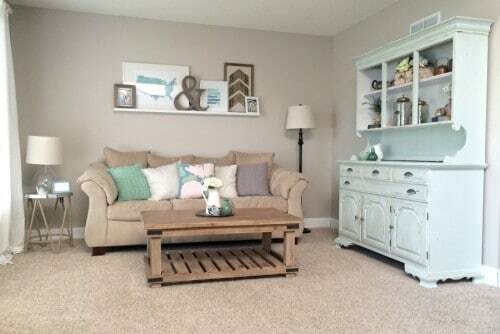 The same paint can be used to repaint side tables like that cute one. 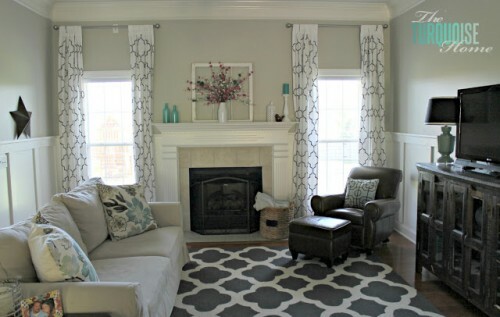 A large rug can instantly transform a room, such as this one. Matching curtains complete the look. 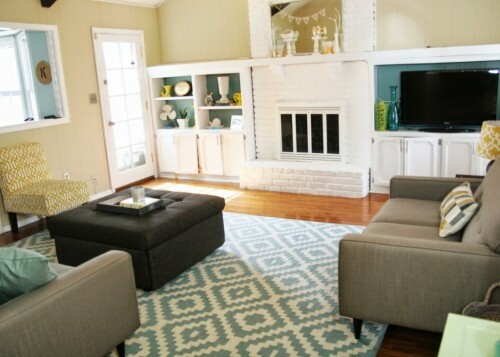 This retro colored room is now the modern feel. 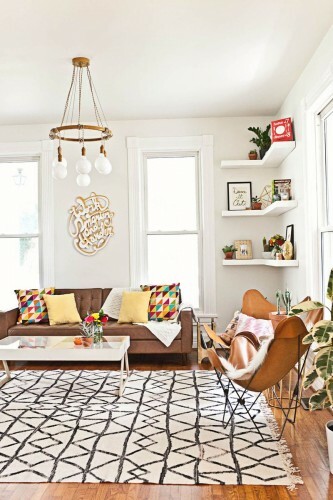 I love the groovy wall art that brings it all together. Side shelves are great for adding color and storage to the room.